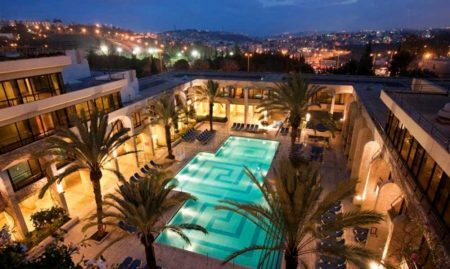 A Special Offer at Shani Hotel – Jerusalem City CenterA Weekday Getaway at Hotel ShaniBook a vacation at Shani Hotel and get a 15% discount on your booking when you check out! With its spacious rooms, contemporary decor, mahogany furniture, wooden floors, and the wonderful paintings of Silvia Bar-Am, one of Jerusalem’s finest contemporary artists, Shani Hotel offers one of the most inviting hotel atmospheres in the city. Designed under the direction exceptional architects and interior decorators, Shani Boutique Hotel provides to its clients the most spacious suites in Jerusalem, rivaling the best hotels, including deluxe double rooms, studios, one-bedroom and two-bedroom suites.All the rooms and suites are comfortably designed, spacious, and warm. Comforters and pillows, goose down and luxurious bed linen – are all 100% cotton. 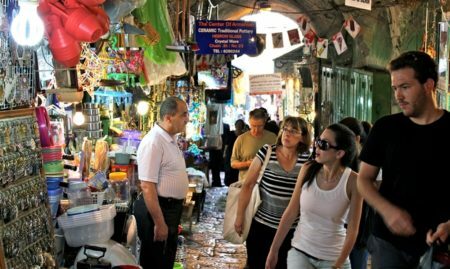 Located at the corner of the central Hillel and Shamai Streets, Shani Hotel is directly in the heart of Jerusalem’s golden triangle, just a minute’s walk to the Ben Yehuda pedestrian street and the trendy Nahalat Siva neighborhood. The area is rife with shops, restaurants, cafes and many local attractions close to the prestigious Mamilla shopping Center. Shani Hotel is also easily accessible by public transportation, making it the perfect gateway for an exciting Jerusalem vacation. Every day between 5-7pm, with the exception of Fridays, hotel’s guests can enjoy a free and complimentary Happy Hour bouffe with different types of refreshments. Winter comfort food, such as soups and stews, is served during the colder days of the year while a great variety of seasonal fruits is offered in the summer. Hot and cold beverages, sandwiches and sweets are served all year round. Coming soon: A Parisian-style brasserie with a bevy of menu options and an impressive selection of wine and cocktails. If you’re looking for a venue to host an intimate celebration such as a Bar/Bat Mitzva, wedding anniversary or Brit-Mila, Shani hotel offers a beautiful and elegant event venue designed specifically for this type of events. The hotel also provides the option of accommodation for the hosts. Although booking a room is not required, it is a very good idea to have a comfortable bed waiting for you at the end of your event. For those who are holding a conference, the hotel will be glad to provide you with a high-quality projector, all the assistance you might need, and of course, tasty refreshments to keep your guest focused and happy. Book your stay at Shani Hotel and get 5% OFF via the hotel’s official website! For more details dial +972-72-3281984 and and present your promo code. Guests are treated to homemade pastries & refreshments during a daily Happy Hour at the hotel’s lobby. *Offers are valid during weekdays only. Book a vacation at Shani Luxury Boutique Hotel and get a 15% discount on your booking! You will receive the discount when you check out. You will need to deposit your credit card at the desk when you arrive. You can also fill and send us the form below via e-mail. Find out more about Experience JLM offers and deals. Stayed here for four nights while touring Jerusalem and the surrounding area. Great location close to Ben Yahuda Street, and an easy 15-minute walk to the Old City. Bathroom was modern, but the rest of the room was old and worn down, especially the carpet. Tiny elevator and stairs were crowded with rollaway beds. Lobby wasn't very clean. Breakfast was pretty good - nice selection of fruits and vegetables. Ensure you ask for a room opposite of the street entrance - there is an Irish pub directly across from the hotel that stays open to 3am most nights and is very loud (my friends had a room like this, while I luckily had one on a courtyard). A spacious room that is fit for up to 2 adults. An open space family room with an additional bedroom suited for up to 4 adults. A large room with a stylish sitting area. Perfect for a romantic couple’s getaway.